In today’s Foundation Friday Over 50 I’m testing Laura Mercier Flawless Fusion Ultra-Long Wear Foundation to see how it performs on mature skin. 14 Responses to "Foundation Friday Over 50 | Laura Mercier Flawless Fusion"
I had this applied at the Laura Mercier counter on my lunch break, arriving back at the office I had to remove it, it was just so broken up and was hugely emphasising fine lines and pores. Thank goodness I didn’t buy it! I am in the process of switching most of my make up because I want to only use products that are not tested on laboratory dogs. Laura Mercier does not. It looks like a good choice for me. I do want to recommend a foundation from a brand I just learned about. The brand is Vapour Beauty and they have a soft focus foundation that it excellent on mature skin. There is also Pur Cosmetics which has a cushion foundation with a SPF of 50 like the IT Cosmetics foundations. IT was just bought by L’Oreal which tests even though IT Cosmetics doesn’t. I do love your videos and your beautiful make up which always looks so good no matter what brand you use. Angie, have you had a lower eye pinch or upper eye lift? Your eye area is very “open” compared to my 44 year old self. Or is it all skin care, good genes and botox / fillers? I’ve been a long time Lancôme gal, some Clinique, Perricone MD, and Skin Medica trials… so, I appreciate your research and evaluation of the ingredients that are PROVEN to work… & then getting those at the best value… because we’re in it for the long term. I’m loving your Cerave, Retin A, Vit C serum etc protocols. Years ago a dermatologist told me that Retin A was really th ONLY proven anti aging product out there… The “Angie routine” seemed like sooooo much at first, but now it’s easy! And I feel my results are the proof… along with a little Botox and a couple times of fillers… What an adventure! THANKS AGAIN! 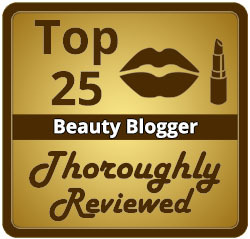 Thank you Angie for your honest and helpful skin-care & makeup reviews! Are you planning on filming a holiday or winter clothing haul or lookbook soon?! Your fashion videos are my favourites! 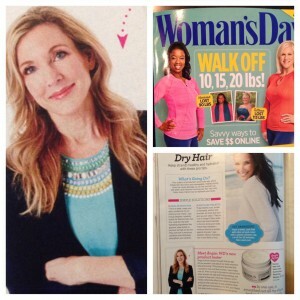 Hi Angie – I am 46 and see lots of aging in my skin all of a sudden. It’s like I wasn’t looking in the mirror for a couple of years and…wham! You look fabulous and I love your smart, skeptical and matter-of-fact delivery. I am planning to follow your blog religiously (until you get picked-up for a network show). I don’t have a lot of spare time; so can you recommend a way to get caught-up on your posts? For example, do you have a top 10 ‘this and that’ series or something to that effect? btw – I’ve never been a fan of Laura Mercier make-up because it always causes break-outs. Perfect, thank you!! Good thing I have a 4-day weekend to catch up and go shopping. 🙂 Happy Thanksgiving!! Thank you so much Angie for your Review, I did try it and didn’t like it and also had pimples after a week. I Looove that lipstick could you share the brand and color it looks so beautiful. Can u test Beauty Counter skin tint and/or dew tint?